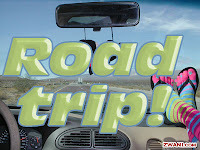 A Road Trip and Learning a Language! Going on a big road trip? Here’s an idea to get some French or Spanish learning while driving. When I was little we used to have to find things that start with a certain letter, starting at A and ending with Z. Why not do this with French or Spanish? This is a game that even preschoolers can do because you don’t need to spell. Your child only needs to know the alpabet. You can play too. It might be easier to play if you’re not the one driving though! At the preschool age, kids are very egocentric and like to talk about themselves. What you can do instead of teaching your kids how to conjugate verbs, is to just teach them a lot of verbs using the first person singular “I/Je”. Later on then you can introduce “You/Tu” and the other ones. 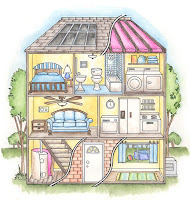 Learning the rooms of the house in French! This works well if you have kids who can read (even if just a little bit). Write the words in French on big pieces of paper and tape them to the outside of each room. Everytime you and your children walk into a room, you can say the room’s name together in French! Here’s a fun way to play with your kids while reviewing animal names in French. Grab some of your children’s picture books and sit down with your kids. Say a name of an animal in French and then have your children flip through their books until they find a picture of that animal. 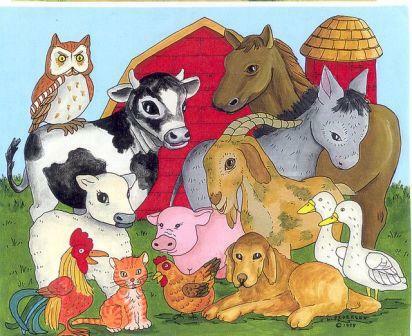 Also, you can make a bingo card with the names of the animals on it. Then they can mark them as they find them in the books. There are a lot of variations to you can do with this activity. 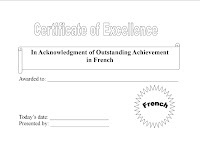 A great way to award your little language learner for their hard work with studying French or Spanish is to give them an award or certificate. Sure you could go out and buy them a trophy and they’d be delighted, but they’ll probably be very happy with a simple certificate too. 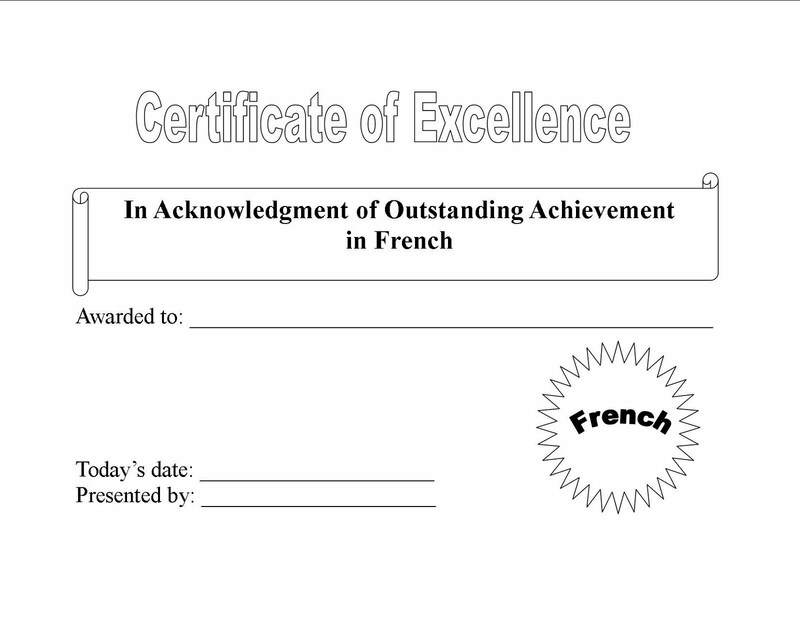 Attached are 2 certificates that you can print out for your chidren (Spanish, French). 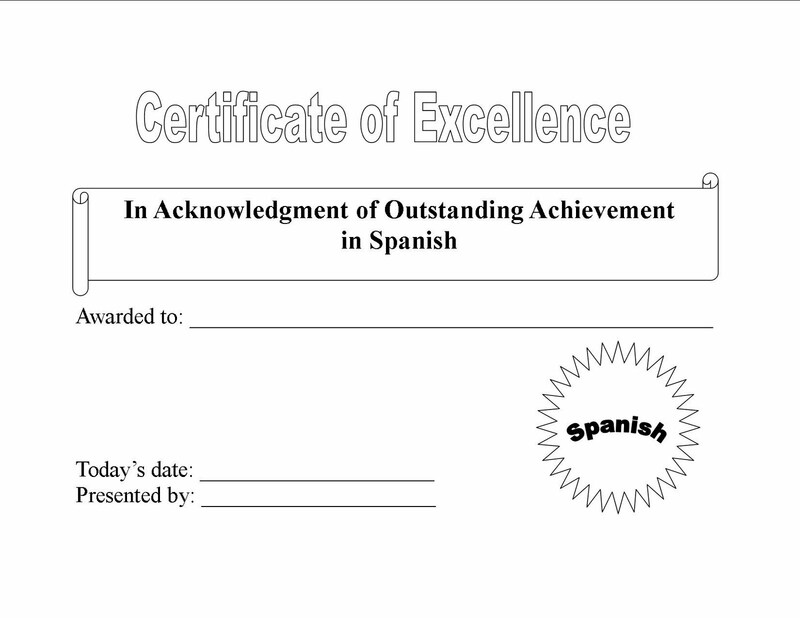 You might think I used big words on the certificate, but when you read it to your child, you’ll see their eyes light up because those big words will impress them and make them feel extra special. You can also make your own if you’d prefer. You can even print it out before hand and color it in so it looks more fancy. Then you can have a little award ceremony and have your whole family watch as you child receives their award from you! A unique idea for teaching 1 French or Spanish word a day! If you want your child to learn 1 word a day in a foreign language like French or Spanish here is an idea for you. Think about what you do everyday. For a good 30 mins. or more. 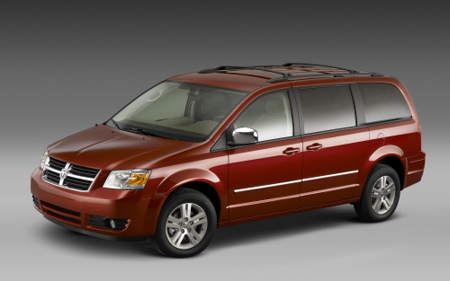 If you are like me the answer is drive in a car. While you are busy driving your daughter or son could be busy learning. Just write 1 word in French or Spanish and tape it to the back of the chair that is in front of your son or daughter. You can even draw a little picture of the word too. Even if they can’t read, you can say the word a few times and then get them to repeat it. By looking at the word and the picture, the will remember it. My friend did this with her kids for the alphabet, but it works well with words too! Pressed for time? Just write the numbers – 1 each day. That will take no time at all. Good luck! 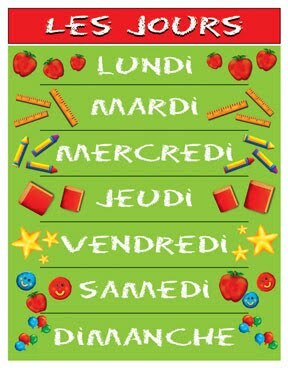 Learning the Days of the week in French! 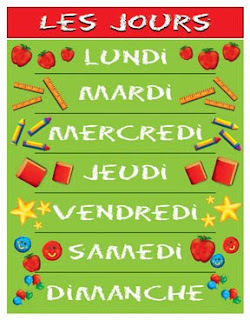 One great way to help your children learn the days of the week in French is to either make a calendar or better yet, you can put the day of the week each day on the fridge. Not into French? 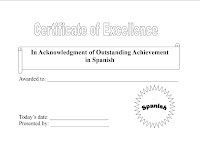 Never fear, just use these activities grab a Spanish dictionary if you don’t know the words and away you go. Most of this blog will work for any language. Choose whatever language you learned in highschool or college or any language you want to learn now. Nothing better than learning a language with your children together. Also, since I speak Spanish too, I’m going to try to do more activities with both the Spanish and French languages. And as always, please let me know if there are any topics you’d like me to cover in this blog!